Faulkner, C.H. (editor) 1996. Rock Art of the Eastern Woodlands. ARARA Occasional Paper No. 2. Faulkner, C.H. (editor) 1986. The Prehistoric Native American Art of Mud Glyph Cave. The University of Tennessee Press. Faulkner, C.H. and M.C.R. McCollough (eds.) 1974-1978. 8 Volumes reporting the Normandy Reservoir Salvage Project. 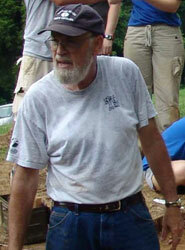 University of Tennessee, Department of Anthropology, Report of Investigations. Faulkner, C.H. 1965. The Old Stone Fort: Exploring an Archaeological Mystery. The University of Tennessee Press.